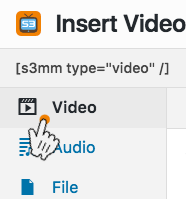 Beginning in S3 Media Maestro version 3.0.0, you can now create buckets directly from the WordPress admin panel or from within the S3 Media Maestro modal. 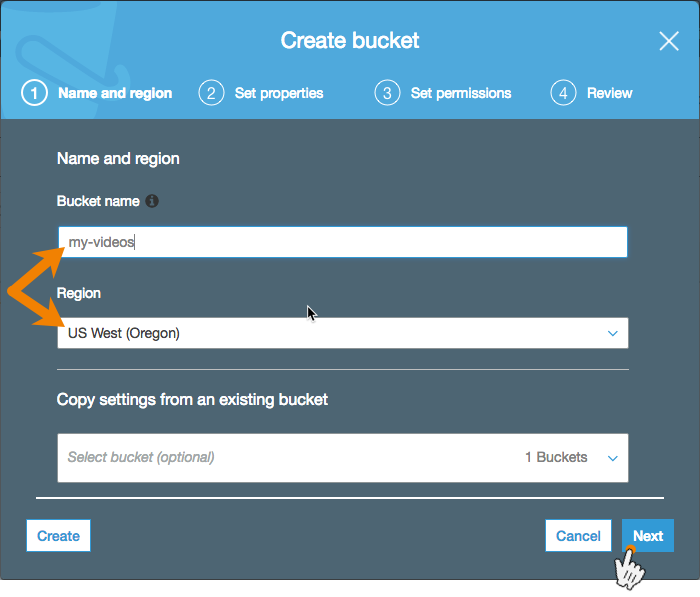 This article will outline how to create a bucket directly from the S3 Media Maestro Settings Page, the S3 Media Maestro shortcode builder modal, and also directly in the AWS S3 console. Navigate to Settings→S3 Media Maestro (assuming you've already entered your S3 Access Key ID and the S3 Secret Key). If you don't already have an S3 Default Bucket set, you will need to click the Select a bucket button. Enter your bucket name and select a bucket region and click Save. That will generate and set your default bucket. Once you've initiated a new page or post, click the Add S3 / Cloudfront Media button. Next select Video or Audio. Depending on whether you selected audio or video in the previous step, your next selection will be to select your Video Source or Audio Source. In either scenario, be sure to select S3 Video or S3 Audio, respectively. In the example below, we will demonstrate selecting S3 Video. Click Create a new bucket. 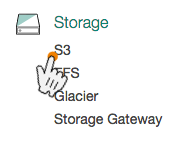 Log into Amazon AWS and click on S3. Clic on the Create bucket button. Type in your Bucket name, select the Region, and click Next. For steps 2, 3, and 4, simply click Next until the bucket is created. The default settings for steps 2, 3, and 4 will suffice.